The Strictly Come Dancing professional, 28, said she has been chatting to several of her colleagues from The Greatest Dancer since the series finished earlier this year, but not Cheryl, 35, or their fellow judge Matthew Morrison, 40. 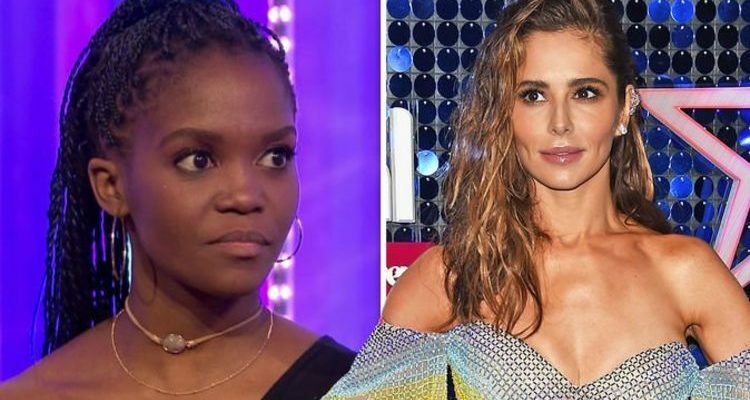 “Since the show finished I only talk to the hosts, Alesha [Dixon] and Jordan [Banjo],” Oti Mabuse told this week’s OK! Magazine. “Me, Cheryl and Matthew haven’t really kept in touch. Matthew went straight to Japan after the show and I’ve been really busy so it’s been difficult,” she explained. However, Oti said she, Cheryl and Matthew have been in contact, albeit only to share funny videos with each other on social media. “We do all send each other funny videos on Instagram, but we never have a general chat,” she told the publication. “Everyone says I should start a WhatsApp group for us and I’m like, ‘No! Why? You start it, you put the effort in!’” she laughed. Oti previously dismissed claims of a ‘feud’ between them on The Greatest Dancer, telling ITV’s Lorraine they had been “bonding”. “There’s two women on the panel, there was always going to be rumours of a feud,” she said. “When we met I was a little bit nervous because I don’t know her and she doesn’t know me,” the Strictly star admitted. The dancer’s remarks came after a source told The Sun the pair “didn’t seem to gel” during filming for the show, making the atmosphere backstage “uncomfortable”. A representative for Cheryl also denied the claims, saying: “It’s a fabricated story – yet again trying to put female against female on a TV show. “It’s a shame we haven’t moved past this,” they added. Elsewhere, the BBC confirmed The Greatest Dancer will be returning for a second series next tear. It is yet to be revealed whether Cheryl, Oti and Matthew will be back as mentors. Read the full interview with Oti Mabuse in this week’s OK! Magazine — out now.